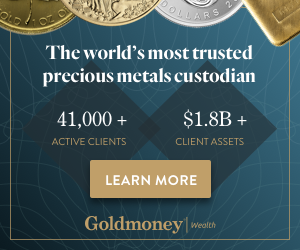 Precious metals market are on track to meet our gold forecast 2019 and silver forecast 2019. However, any bull market, short or long term, does not evolve in one straight line. We see 4 pct retracement in January 2019 in both gold and silver, and this should not come as a surprise nor should it shake out the bulls. On the long term gold charts though this is a minor and invisible blip. We see gold moving to the $1300 to $1375 area. As this will be the 3d breakout attempt there is a fair chance it will succeed: our bullish target for 2019 is $1550. Our silver price forecast 2019 is mildly bullish: $17 to $21.50. We have a wildcard that turn our silver price forecast 2019 very bullish: $26. Do not underestimate the power of key resistance levels. Almost never will resistance be broken after a first touch. That’s why entry points should not be set at, but above or below key resistance. The key resistance level for gold and silver would be reached once gold, our leader, would touch $1300. However, given our 3 leading indicators, i.e. rates / commitment of traders reports / the Euro, we see more than enough upside potential, as said in last week’s article 2 Reasons Why Gold Has Plenty Of Upside Potential In 2019. That’s why we are confident that this pullback will be temporary in nature. Based on the gold and silver charts, the weekly timeframes, embedded below, we see that support will kick in some 4 pct below current prices.